Security guard app patrol and tour GPS tracking and mobile officer reporting does not need to be as complicated as it sounds! Security guard apps should be user-friendly and easy to deploy. Therefore, a security guard application developer needs to understand that you hired your officers for their security industry capabilities; not necessarily for their software expertise and technical abilities. The development of the GuardMetrics mobile security guard apps was directed by just such security experts; officers and soldiers who have worked at the highest levels of security in America and around the globe. Security guard app software should also be stable and efficient and be supported by a team of experts that can handle your needs, day or night. The GuardMetrics security guard apps are supported by just such security industry experts. We will prove to you, in short order, that we are here for you to the fullest capacity. Call us to DEMO the GuardMetrics security guard apps! GuardMetrics-PatrolTrack is our flagship security guard app. It’s functionality includes guard tour software, mobile officer GPS patrol tracking, Incident Reporting, Daily Activity Reports, Post Order management, Visitor Management, Facility Access Management and much more; including unique advantages like the Community Security Portal. GuardMetrics-Octopus provides a cutting edge security guard app that can be deployed on any mobile smartphone. The officer management application covers every facet of real-time security guard field management, including mobile reporting, daily activity logs, post order management, push-to-talk, real-time exception alerts, patrol route optimization, guard tour tracking, QR code, NFC and beacon officer location monitoring, live video stream and much more. 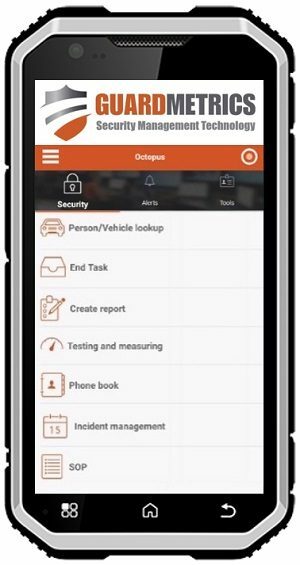 In fact, GuardMetrics-Octopus is the world’s first security officer app and officer management software system that you can scale into a complete PSIM (Physical Security Information Management) system, capable of integrating with and controlling ANYTHING associated with security operations, worldwide! 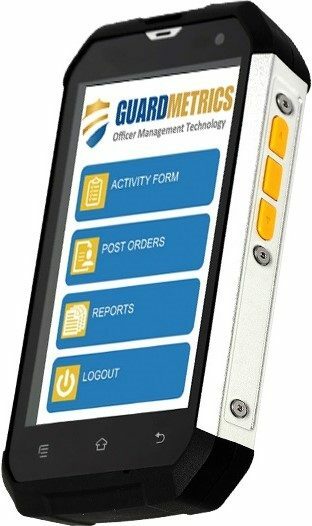 The GuardMetrics-PatrolTrack security guard app is clean, efficient, easy to use, and very price sensitive. The security guard management system has been designed to use an ultra-low amount of data so that your mobile security officers can even use it on their own devices with the tracking and reporting app without costing them in data or battery life. 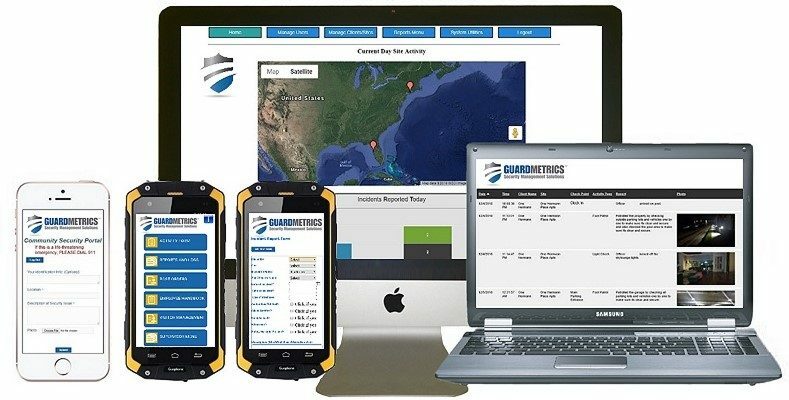 Designed and developed by security guard company personnel, the GuardMetrics-PatrolTrack security guard app is everything you need for security officer GPS patrol and tour tracking and mobile reporting and to streamline your security guard operations management. GuardMetrics is proud to provide next generation security technology, services and consulting to all sizes of security guard services; from start-ups to billion dollar organizations! 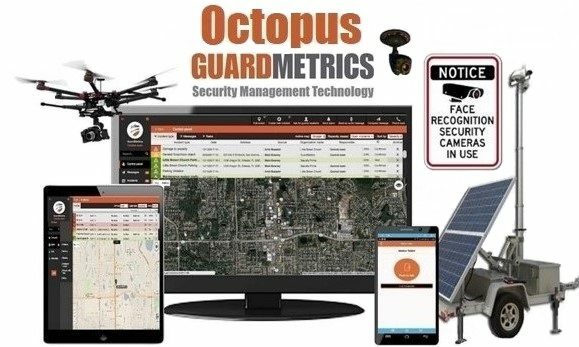 The GuardMetrics-Octopus security guard app and officer management system is the perfect solution for a large security guard service that presently has use for PSIM aspects of security management; i.e., 3-D Mapping for Indoor Positioning, controlling CCTV systems, controlling drones, facial recognition, cyber and social media alerts, monitoring thermal radar and seismic sensors, defense against the dark web, etc., or for a small security guard company that presently requires only a great security guard app, but plans to grow in any of these directions. We hope to be of service with our security guard apps, and we are confident that we can be! Call us, or click here, for more details on these security guard apps and other ways that we might be of service!